The amount of carbohydrates in one’s diet can affect the blood glucose level. Fruits contain sugars and carbohydrates, but some have more than others. 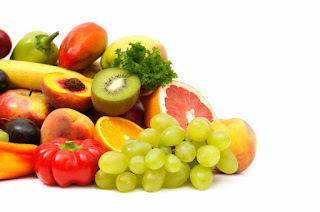 Below are 7 low carb fruits for diabetics. Consider including these fruits into your diet. One kiwi fruit can supply 140% of your recommended daily value for Vitamin C. It is also a good source of Vitamin K at 45% of RDA, 10 grams of carbs for one fruit and 3 grams of fiber. Kiwi has 7 grams of net carb. Cherries are low-GI and low carb choice that can be safely included in a diabetic diet. Also tart cherries contain more anti-inflammatory agents than any other fruit. It is also packed with antioxidants, which help fight heart disease, cancer and other diseases. Apricots are sweet, low-carb and a summer fruit staple. One apricot has 4 grams of carbohydrates and 17 calories. Four fresh apricots equal one serving and provide more than 70% of your daily vitamin A requirement. It is also a good source of fiber. Peaches contain fiber, potassium and vitamins A and C. Peaches can be eaten on their own or tossed into iced tea for a fruity flavor. Strawberry contains anti-cancer bioflavanoids. It is also rich in Vitamin C with 125% RDA, potassium, folate and fiber. Most importantly it contains oxalic acid, that can reduce mineral absorption. Oranges can provide all the vitamin C you need in a day. It contains 62 calories and 15 grams of carbohydrates. It also contain potassium and folate, which are responsible for normalizing blood pressure. - How Does High Cholesterol Harm Your Legs?